One of the world’s leading chemical and speciality ingredient distributors was in the process of implementing a global template of SAP worldwide. In the meantime it had acquired acquired two companies in Belgium. As with all acquisitions, they needed to integrate these operations as quickly as possible, in order to provide the company with the supply chain transparency and visibility it needed. They could not wait for the new template to be delivered in 2014 or even later. So, at the beginning of 2012, the decision was taken to merge the two acquisitions and its existing Belgian facility into a new operation. This would undertake all production, sales, purchasing and warehouse/distribution activities from 1st April 2012, with full legal consolidation occurring on 1st July 2012. There wasn’t much time. The two acquisitions were both using Navision software. 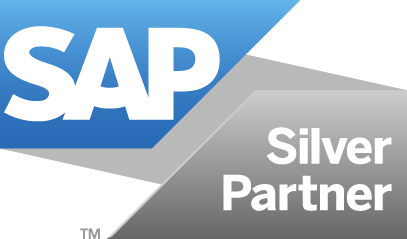 The existing operation was running on a heavily bespoked, old version of SAP, which also ran many of the company’s other European operations, including France, Germany and the Czech Republic. To help it meet its goal of consolidating the three existing entities into a new operation the client turned to Pivot for help. Pivot had to undertake the consolidation quickly while ensuring it did not cause any disruption to the existing operations. To compound the challenge Pivot faced, the client was moving its existing Belgian operations to a new site, as the lease on the old one had expired. Depending on its particular business model, each organisation had a specific mix of sales, purchasing, warehousing, distribution and manufacturing processes, as well as core financial procedures. Pivot’s first step was to create and set up a new entity so that standardised processes for all these activities could be used across all three organisations, providing the company with the clear supply chain visibility it needed. Master data from all three organisations was also migrated to the new entity, which included extracting and mapping the data from the two Navision systems. The data included all financial information, inventory, customers, vendors, bills of materials and transactional data, such as open sales orders, purchase orders and stock balances. The heavily customised returnable packaging processes proved to be a particular challenge. Despite the exacting requirements, Pivot completed the whole project in just 12 weeks, in scope as well as on time and budget.